Please verify that the answer has not already been provided on one of the support pages. as well as a brief description of the problem. 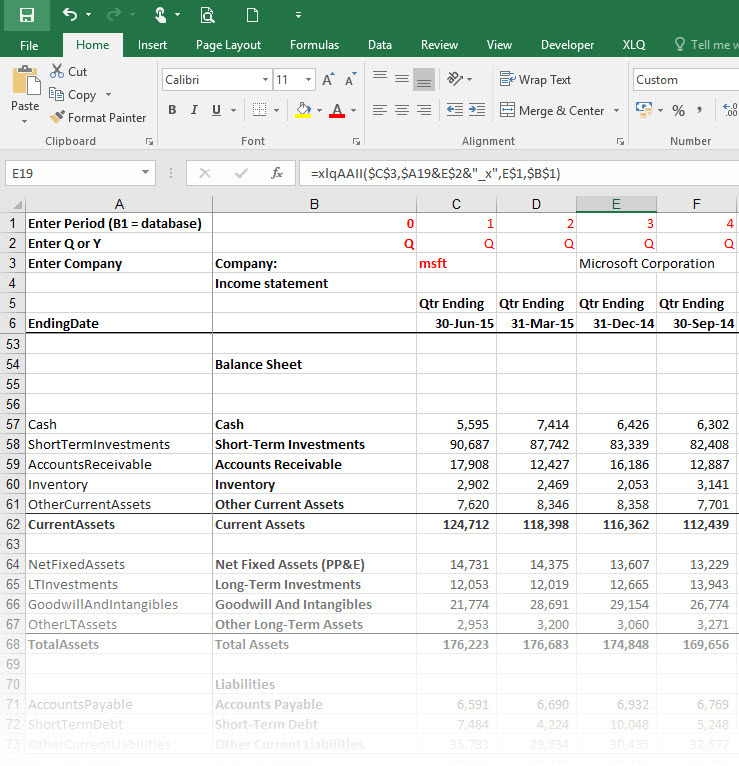 XLQ's AAII (American Association of Individual Investors) formulae allow you to work with AAII's Stock Investor Pro database directly in Excel or via COM. With Financial and Fundamental data for over 7000 companies and thousands of data fields, it probably has all the data you need. XLQ allows you to work with 5 databases at the same time, allowing you to compare results etc. (prior databases are available for download from AAII back till 2003). For Symbol you may either enter a companies symbol, or you can work with an alphabetic listing of symbols using !1, !2 etc directly in cells to populate a workbook or in VBA to screen for data. For Database, which defaults to 0, you may enter 0 to 4 allowing you to work with 5 separate SIP databases simultaneously. (You would define the paths for each in xlq preferences). Given the sheer number of data fields available it is impossible to list them here, and you would need to work with AAIIDemo.xls included with the xlq install. 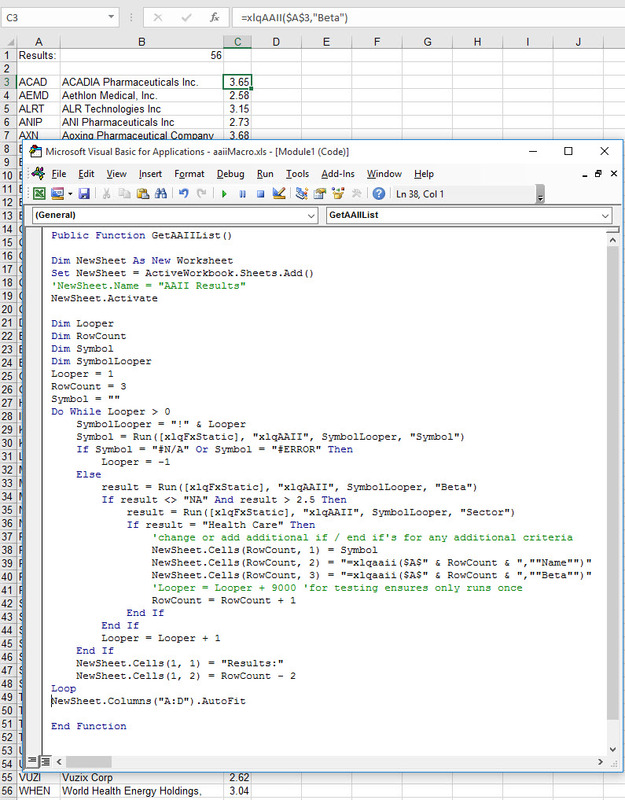 The first (Summary) sheet contains a listing of all available fields, with additional sheets giving usage examples. (Even if you do no have SIP installed you may still consult the xls to see what is available. Fields would either be simple names such as Beta, SalesGrowth1Y, DividendNextQtr etc. Or would end with _X. When ending with _X an additional period parameter is provided to display the periods results, usually either from 7 years of data or 8 quarters. Combining the period parameter, along with multiple databases can allow you to work with over 20 years of data. Using string concatenation in excel also allows you to easily change a view from Quarterly data to yearly (see AAIIDemo.xls Financials sheet). e.g. =xlqAAII("MSFT", "CashFlowQ_X",2) will return the cash flow from prior quarter for Microsoft. Full list included in additional sample xls. Stockwatch - new source with a difference. InteractiveBrokers - latest API supported. Improved Real-time / day data handling. or feel extra has been earned? Wow, you did a lot of work on this version. New interface and other things as well. I must give you credit for being the most responsive software engineer that I've ever encountered. Every question that I've sent you over the many years (since 2003!!!) has been answered quickly and professionally. I just wanted to let you know that it is appreciated. I have to say Leo that the last two versions have made some tremendous improvements to what has been for years an outstanding application. Thank you for your continued efforts. Just to let you know that, the new version works much better & faster than the older one. I like it a lot, fantastic job you did!!! Many thanks indeed for your clear and very rapid reply. I am not used to this type of quality service - I thought it went out of fashion years ago !! In only 40 some days XLQ has helped me with a number of research projects I couldn't possibly have done without it and I'm now using it to help manage and track current trades and to alert me to potential new trades. I just wanted to take a moment and thank you for creating XLQ. I use it regularly for scanning/monitoring securities in Excel 2007. I have programmed in trailing stops for securities I own and numerous techniques using indicators for securities on my watch list. The combination of Excel 2007 and XLQ has opened up nearly an unlimited capability that is only constrained by my imagination. Thank you for the amazing package -- I use it daily and it's ridiculously useful! Others (.....) have added some of the features you have, but none of them even comes close to matching what you've built. Your product is fantastic, amazing, and really strong. It has real enabling capability. Thank you for putting this into the market! You have an exceptional customer service, you have always answered my questions, I thank you for that, made it really easy to use this software, will be your long term customer. Thanks. I was halfway resigned to have to program something like this myself. Only it would have taken me forever, and I couldn't have done it half as well. Thanks! I also want to thank you for making the XLQ program. It is something that is very useful and incredible helpful. Like it was made for my needs. I have already modified your demo sheet to fit my needs. Your program allows me to turn my excel spreadsheet into a total information center that updates automatically. It's elegant. First, I want to say that your program is probably the finest piece of work I have ever seen. The depth is simply amazing. Congratulations and thanks. Thanx, Leo. You're a great sport. By the way, partially because of the application of xlq in my screen, I have passed 30% up in the market this year!!!! This is a wonderful product -- simple to use and just plain useful! I want to say you have created THE ULTIMATE data interface software for traders like me who prefer to use Excel for everything. Thanks a bunch. I just wanted to say, that I very much like your xlq package. I have tried many similar products and this is by far the best I have come across. Simple, fuss-free setup, integrates well with Excel, and has its own stand alone interface to track your portfolio throughout the day. Since I am from Europe, and trade US, European and Japanese securities, the ability to use a variety of feeds simultaneously and transparently is particularly valuable to me. I really appreciate your quick responses. And your program is terrific. The Plus version adds a lot with it‘s AAII interface. I’ll definitely register it since in the last week it has become an indispensable part of my stock analysis. I found XLQ yesterday afternoon – and I am blown away by how useful it is. You really need to market this thing because it is AWESOME!!! Your explanation was very good. I understand now and find it very useful. If you always reply so quickly to questions, I will have to believe that you supply the best and fastest support of any software company. I have “dabbled” for several years creating many of the things you present in this great program. I first began using the “*.iqy” external query (update times horrendous), then Excel VBA and lately attempting to learn “C” or “C++” in order to have smoother, faster updates as well as a great appearing “front end”. Your program certainly is, by far, the leader and has the greater edge over any I have seen, or tried to accomplish. Thank you for such a great program. You are a very special person to reply so quickly and I want to thank you again. I enjoy your program. It gives me everything I need, and I know there is so much more functionality that I'm not even exploiting. I love your program. XLQ combined with the power of Excel brings limitless possibilities to manipulate data for better trading. I recommend it to everyone I know interested in trading. Thanks for such a great program. I have no programming experience and was trying to find a way to do just what you have done. Only you did much more. It’s fantastic and reasonably priced too! Thank you so much for your help and your phenomenal programming. XLQ is awesome. I use your XLQ product all the time. Some of the best money I've ever spent on software. First, a thank you for the excellent and useful adjunct to EXCEL. I seem to discover a new use every day – and I’m sure I haven’t even scratched the surface to utilize XLQ’s full potential. The new version is really great. First let me say that I feel XLQ is terrific. I really appreciate the versatility you have made possible with this package. I have set up a few worksheets and find it easy to learn and use with the aid of the included demo sheets. This application has the potential in my opinion to be unmatched in power, efficiency and productivity. Your software is on its way to becoming the only window that I need to the market’s numbers. With the ability to arrange thing EXACTLY the way I want them, and the use of conditional formatting to trigger alarms and display changes to suit my needs, I am gradually replacing all of the other market tools I’ve been using. I can’t be a more enthusiastic supporter of what you are doing. Thanks. I'm wowed by your software!! I used to enter data in my spreadsheet for two hours for each update, and therefore only did it once or twice a week. Now I do it with the close each day - in about 30 seconds!!! And I've added some data points to help with my analysis that I just could not manage to maintain before. Thanks again for a great program, a great deal, and great support!!!!! Your software is great. I'm hooked on the info I can generate for stock purchasing and selling using your program. In two weeks I've become an XLQ junkie. Please let me tell you how much I have come to depend on XLQ in a short period. This is a great product!! You have made my job significantly more streamlined, and my tasks simpler and more elegant. Many, many thanks! I have been evaluating XLQ for the past few weeks and am thoroughly impressed with the product. It is versatile, easy to use, accurate and very intuitive. 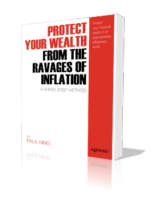 It is a real bargain compared to competitive products plus it runs right from within Excel. Based on this I just entered my purchase order. I ADORE your program. It has really helped me to learn about how the markets work, and building my own system indicator by indicator is the best way to learn. Leo: count me as a satisfied customer. I gave it a good workout for a month, decided to buy it when it saved me 5 hours of administration the first week, and helped me do some studies I had been postponing for months due to slow data retrieval. Your product is smooth, fast and elegant with a very clean presentation. Well done! The more I work with XLQ, the more I like it. It is fast! And so rich... I like it so much I have decided to adopt it as my #1 tool for the long term. Thanks very much for writing XLQ - I like it very much as it gives me the opportunity to manipulate data as I want without a very steep learning curve. I just downloaded a trial of XLQ and have been "playing" with it for hours. I am so impressed. I wish I would have known about your program years ago. I just purchased your software and think it is the next best thing since the spreadsheet. Thanks for the best (and least complicated) investing software out there!! Your software is simply brilliant, for the last week that I have been trying it, I have been impressed no end. Thanks, Xlq is a great piece of software, its actually saving me a heap of time and time is the precious commodity in these hectic days. The XLQ interface with Excel is excellent. I have been waiting for this capability for years. Please accept my thanks for your wonderful product - it is a pleasure to use. Your software is just what I have needed. It provides me with the capability to customize data and construct charts which give me the views I like - not just what someone thinks I would like. Firstly, let me say that the philosophy and idea behind XLQ is exactly what I am looking for. The more I use XLQ the more I appreciate what can be done with it. Just like to say, excellent work. A potentially good bit of software for me. I love your product so far. ... Thank you for making such product available. Thanks for the Tip. You know, your program is really super. Great software! Simple, elegant, well-thought-out and fast. I am always finding new ways to use your program in my investment / speculative Market endeavors. Thanks for such a wonderful product. It certainly does handle my most precious need which is to monitor the market realtime.. It is a pleasure doing business with such a responsive person who obviously understands the value of good customer service. I have just registered and intend to make good use of this program. Just a note to let you know that I really like you software. It's a wonderful interface that has been of great utility to me. 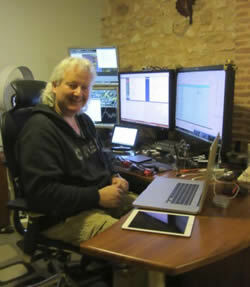 With over 30 years of programming experience, specializing in C++ and high-speed data manipulation, Leo van Rijswijk has developed applications for small businesses and large corporations. Now concentrating on the development and support of XLQ. Since 2000, XLQ provides an intelligent way to work with all kinds of market data in excel. Provides an easy way to manage your portfolio and track trailing stops, gains etc. Allows you to perform custom in-depth market analysis without being limited by the design of a program's interface. Copyright © 2000 - 2018 Leo van Rijswijk | All Rights Reserved.